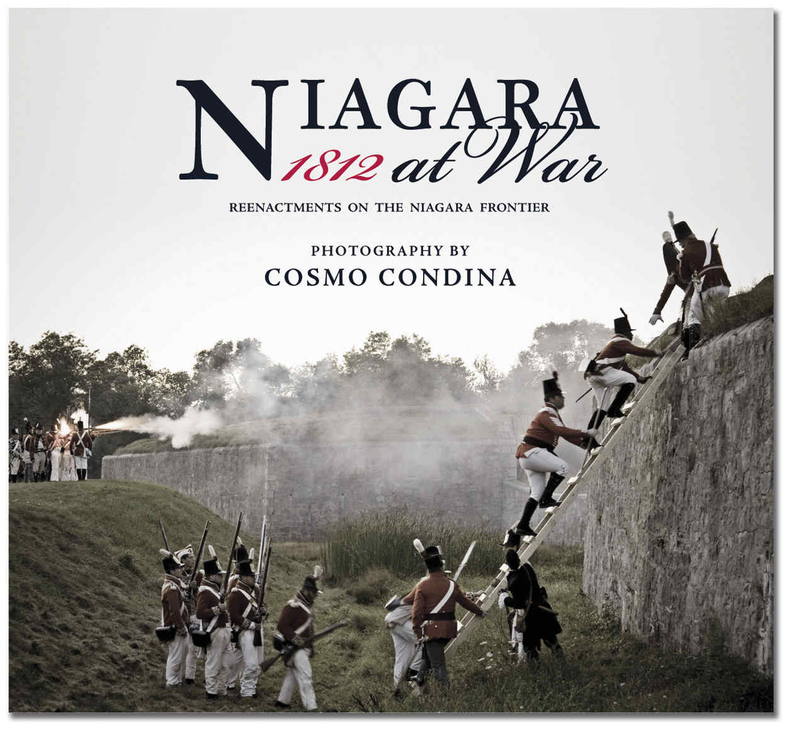 Niagara at War 1812; 132 pages of vivid photography by Cosmo Condina captures battle re-enactments and daily camp life at Niagara’s forts as though the camera had been invented in the early 1800’s. The Niagara Region was the epicenter of the war, which helped define Canada’s borders in North America, and started the process of national unity ultimately leading to Canadian confederation in 1867. This bicentennial tribute is a visual celebration of 110 images accompanied with historical essays on the major conflicts in the region.